Symbols and contrast for this digital artwork of surrealism photography. 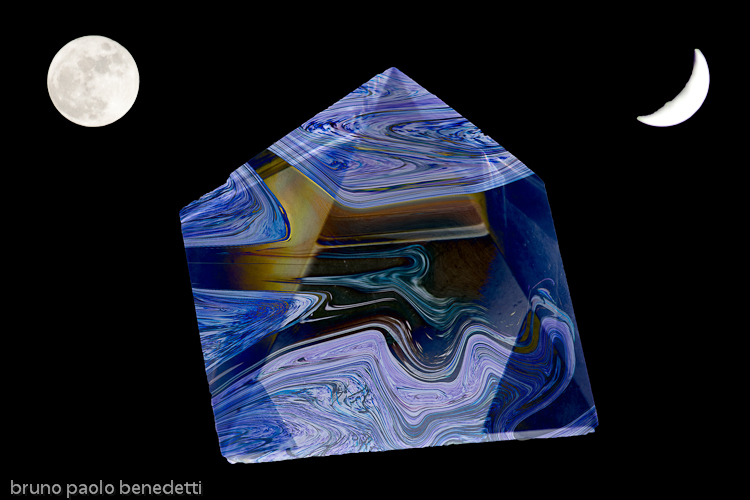 Colored hyaline quartz pyramid in black emptiness with half and full moon. Outside emptiness, inside content. Hyaline quartz changes perspectives and evidences the blue shades like a lens. 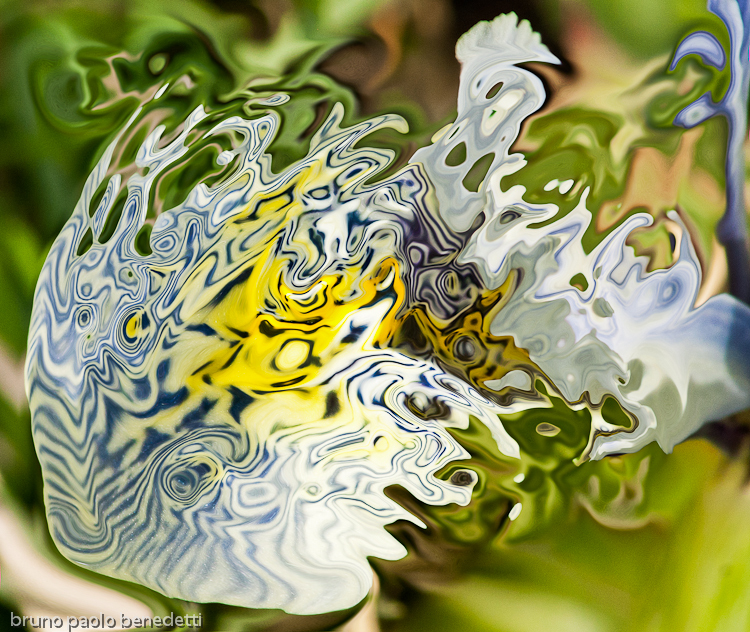 Mottled fluid floating shape with many shades in blue and yellow color on green background. Non objective photography based digital artwork depicting the colors of the nature in spring.